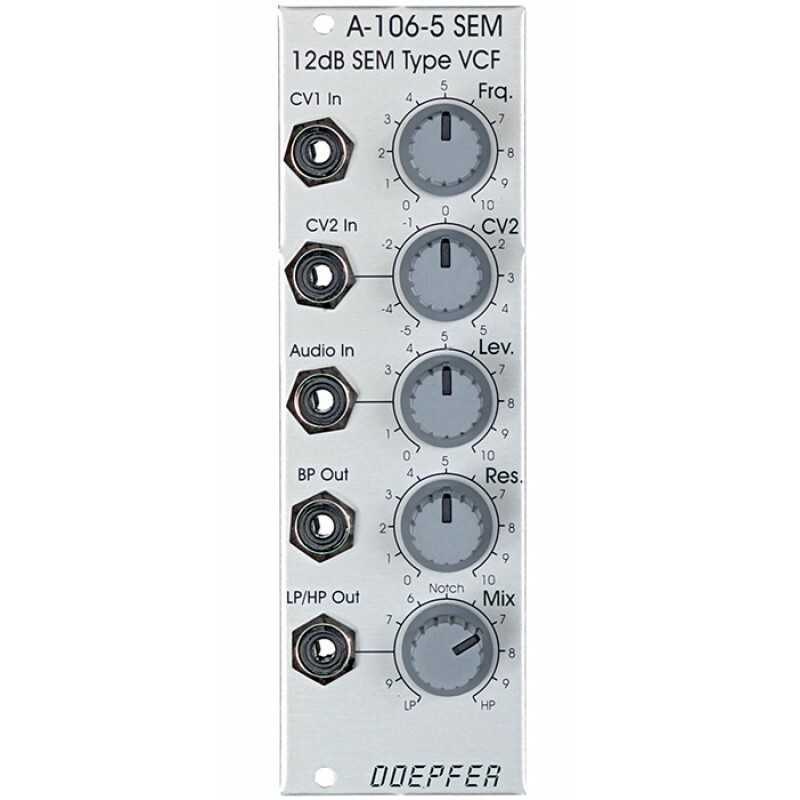 The Doepfer A-106-5 module is a 12dB multimode filter that is based on the filter circuit of the Oberheim SEM module. 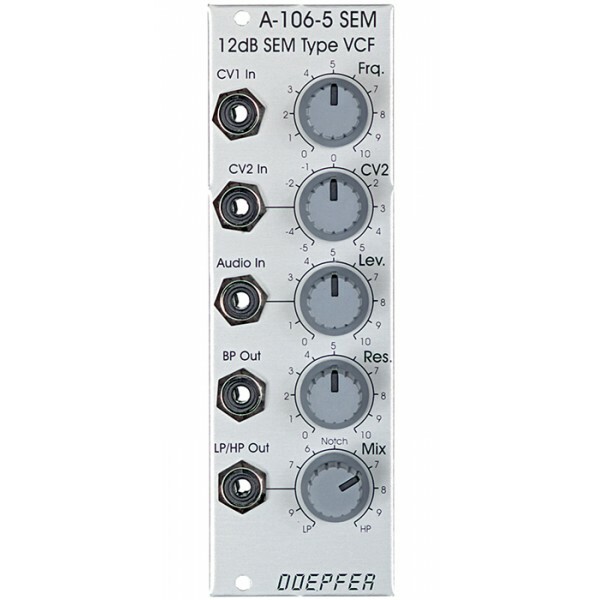 The filter is equipped with a band pass output and a combined low / notch / high pass output. For this output a control knob defines the relation between low and high pass signal. If both signals appear at the same level (ie middle position of the mix knob) one obtains a notch filter. Otherwise the low or high pass signal predominates. 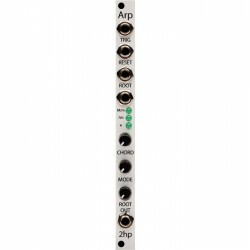 The module does not feature self-oscillation in contrast to most of the other filters in the A-100 system. The module generates a distorted audio signal if the level control is set to about 50% (ie centre position) or more with A-100 standard signals like VCOs. The function and operation of this module is very similar to the A-124 Wasp filter, but the sound of both filters is very different.